Yamaha R1 is one of the Best Sports bike on Track. Earlier this year Yamaha have launched its new Yamaha R1 at EICMA Milan. Since the launch of Yamaha R1 they have a huge fan follow for its new R1. The new Yamaha R1 draws it design from YZR-M1. Under the hood the New R1 is powered by a new 4 cylinder 4 valve cross plane 998 cc liquid cooled engine which can generate around 200 PS of power at 13,500 RPM and 112.4 Nm torque at 11,500 RPM. Chassis wise the R1 Weighs around 200 Kg and R1 has a KYB fully adjustable suspension in front and rear. The greatest upgrade to the Yamaha R1 is not its MotoGP driven electronic control technology which includes monitoring every possible data that draws data from multiple sensors. The electronic tracking system tracks Sensitive traction control. Slide control, front lift control and launch control. In braking area the R1 is equipped with a ABS and a unified braking system. The Yamaha R1 has a greater aerodynamics which is a best thing for riding on Moto Tracks. 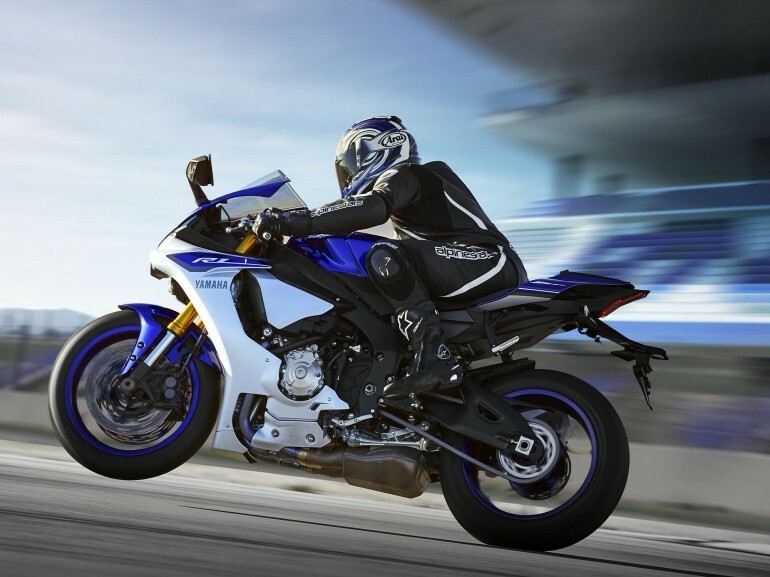 The Yamaha R1 will be launched in March 2015 and the booking for R1 will be around early part of 2015 and the units will be delivered to customers within a time period of 30-45 days. The price range of new R1 will be around Rs.18 Lakhs as the unit comes imported from Japan. Follow us on facebook and twitter for more quick updates.